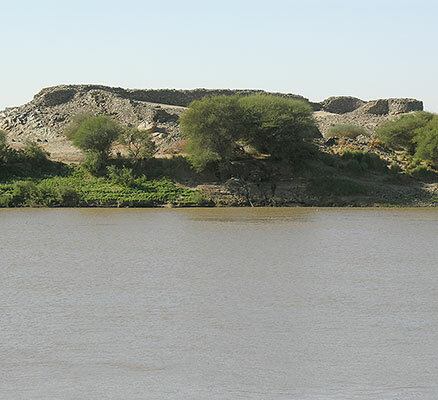 In 2012, the Society in collaboration with the British Museum, began a survey and excavation project at the Fifth Nile Cataract in response to an appeal from Sudan’s National Corporation for Antiquities and Museums. 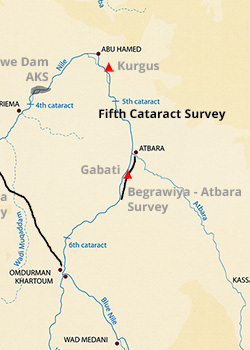 Following the completion of the Merowe Dam at the Fourth Cataract, several more dams are planned. The one at Shereiq will inundate the whole of the Fifth Cataract, one of the least studied reaches of the river. 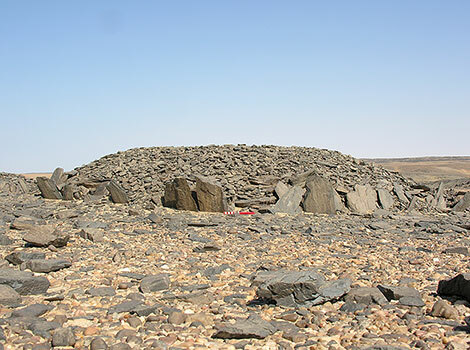 During the first brief season the team concentrated its activities on the east bank, recording in detail a number of cemeteries and one settlement. 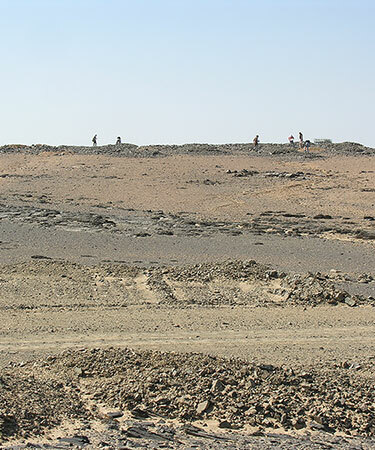 Two settlements and a cemetery were also studied on the island of el-Usheir. Although the work was limited, at least one discovery hints at the archaeological potential of the region. 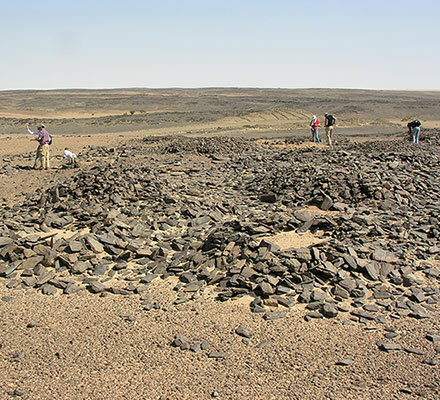 Site RB27 was a cemetery of stone tumuli occupying a prominent north-south ridge a little over a kilometre from the Nile. The well-preserved tumuli were very similar in form to those related to the Kerma culture (2500-1450 BC) known from the Fourth Cataract. These, together with a few sherds of Kerma pottery, open the possibility that the cultural influence, if not the political control, of the Kingdom of Kush based at Kerma (sub-Saharan Africa’s first urban civilisation) extended to the Fifth Cataract — way further upstream than hitherto considered.